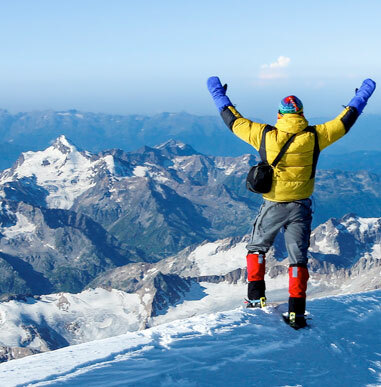 Why Climb Elbrus with Alpine Ascents? 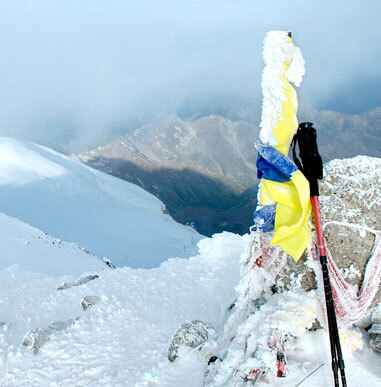 As the highest peak in Europe, Elbrus is a premier ascent for climbers who wish to test their skills at increasing altitude. Although only basic mountaineering skills are required, high-altitude and unpredictable weather make this a challenging and enticing ascent. Elbrus expedition is logistically demanding and we offer several key elements that separate our climb from other outfitters. One of our most popular climbs, this trip has filled five to six months in advance for the past five years. For 2019 we will again use the Heart of Elbrus Lodge before the summit attempt as this has proved the best accommodation on the mountain. There will be two guides from the US. We always send a guide from the United States, generally an experienced Himalayan climber. 2018 saw nearly 100% success with Vern and Carole Tejas leading our teams. Our 2019 trips are scheduled to be led by Ben Jones and Carole Tejas. We have had a 95% summit success since 2000, with most teams having 100% success. Compare our expedition record to those of other guide services. We have three extra built-in days for bad weather and acclimatization to give our team the best chance of summiting. This includes extra days reserved for High Camp, which is not common as most outfits try to save costs by having limited days at High Camp. Russia is a challenging country in which to operate. Our years of experience have helped us iron out many of the wrinkles. We are able to deal with issues as they arise (and they will!). We have been working with the same Russian staff for the past ten years and our guiding systems are extremely compatible. We hire extra guides for summit day (and often earlier) to keep climber-to-guide ratios low. We offer quality hotels and meals throughout the climb, including staying at the Heart of Elbrus Lodge on the mountain. The cost of the internal flight to/from Mineral Vody is included. Our departure and return dates are set to give us access to as many cultural activities as possible. We offer tours of Moscow and St. Petersburg. We try to be up front about all costs. Note our cost inclusions, which cover internal flights and most meals. Alpine Ascents is known worldwide for the unparalleled quality of its guide staff. 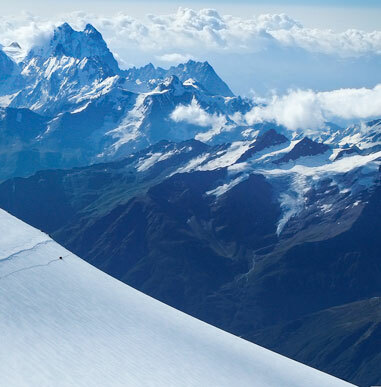 While many other outfitters are little more than a “one-man show,” our trips are led by professional mountaineers with great flexibility in guide staff, full-time office support, logistics and access, and information for other great climbs around the world. I thoroughly enjoyed my experience on the expedition.